Don’t get caught in a web of deceit. Business credit almost never is what it is cracked up to be by the promoters who are pitching programs to get you business credit. There are a lot of seminars, webinars, and other programs out there asking you to pay them a lot of money to build up your business credit. Basically, the concept of business credit in a small business is usually nothing more than your credit. A business credit card is actually more dangerous than a personal credit card. When you lose a personal credit card, you are only liable for the first $50. When you lose a business credit card, the business is liable for everything the person using the card charges on that card. Yes, banks and credit card companies will probably support you, but legally they don’t have to. Unless your company is massive, you will always sign personally on each of the different types of credit the “business” gets. 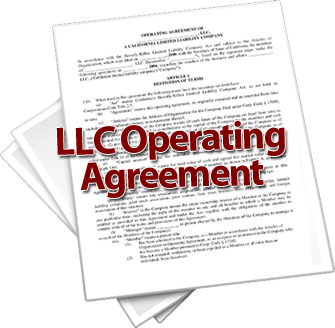 So you are personally liable in addition to having the business be liable. It is your credit they are ultimately going to fall back on. You will almost always be personally responsible to repay the debt your business racks up. So where did all that money you paid some “professional” to build up your business credit get you? Further in debt! There is value in having bank accounts and lines of credit in the name of your business, but be careful to not commingle business credit and personal credit. 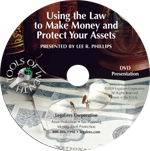 Commingling is a major flaw in any asset protection (corporate shield) you want your business to give you. The fact that you sign personally to guarantee business lines of credit or business credit cards isn’t commingling. It is just a cost of doing business. You always have to treat your business as a real business, if you want any asset protection from the business’ corporate shield. Your business does need the accoutrements of a business. Your business needs its own bank account and clear accounting that shows everything: all the money coming into and out of the business. It is even nice to have business credit, but just remember in almost every case, you will sign personally guaranteeing your business credit applications. Most people who pay some guru to “get them business credit” are wasting their money. I appreciate your open and revealing comments. I knew some of what you were saying was true, but I didn’t know that it was that difficult to get business credit that you don’t have to sign for personally. I thought I was the only one who was still in that stage of the game! You’re right, to pay the money that these programs charge, and still be signed as responsible, and in fact even more on the hook than with an outright personal credit card, that’s a travesty. Thanks for highlighting those important points.